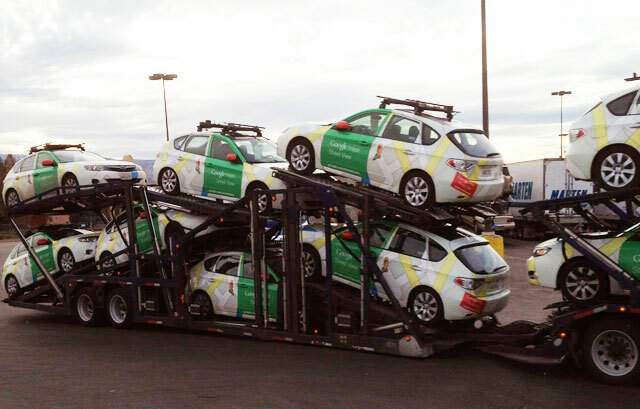 How do Google Maps cars get from one location to another without being turned on? They go on a car transporter truck. 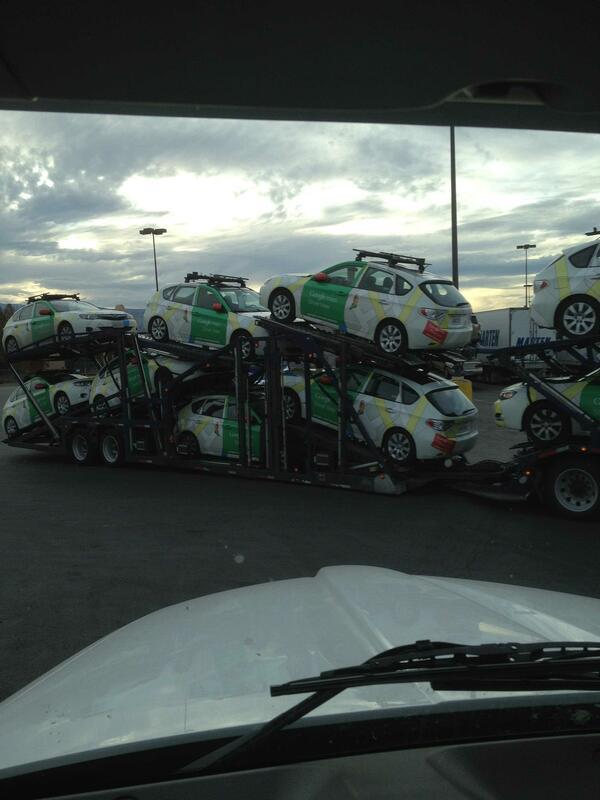 Here is a picture I spotted on Reddit of a trucker taking a picture of another trucker loaded up with Google Maps Street View cars. I cleaned up the picture a bit in Photoshop so it is easier to see.